I want to tell you about the latest DVD releases but I'm having trouble finding a good place to start. Because 'good' is in very short supply this week. While I may not have anything to recommend, don't leave because I have a lot of warnings. This column might save you up to three hours of your life. 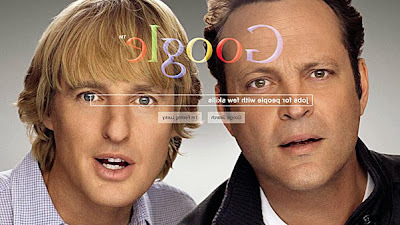 'The Internship' (½/5) reunites Owen Wilson and Vince Vaughn for the first time since 'The Wedding Crashers'! They said it couldn't happen! No wait... Sorry, 'shouldn't'. Sorry: they said it shouldn't happen! Directed by Shawn Levy, mastermind behind such cultural edifices as 'Cheaper By The Dozen' and 'Cheaper By The Dozen 2', 'The Internship' sees Wilson and Vaughn as unemployed salesmen in a world that doesn't need their kind any more. In a desire to chase the dream and become a part of the new order they decide to apply for an internship at Google. What follows is the worst film I've seen since 'Leprechaun 6', but without any of the basic human dignity. As a whole it's not even a film, it's a two hour advert for Google that you had to pay for. The Google headquarters is shown as a playground paradise, and then Owen Wilson explicitly says that it's like the best playground in the world. The Google employees are shown to be hardworking, selfless geeks who only want to make the world better, just before they all explicitly say that. The Google products are all laid out for us to marvel at, then the end credits sequence is literally an extended catalogue of Google products. And while 'The Internship' is worse than worthless as a project, its constituent parts are also appalling. After every big scene, Wilson will do a kind of 'summing up'. The characterisation is non-existent, it's just people describing each others' character to them. It feels very much like they just cut whole lines out of their clumsy film treatment and pasted them into the script as dialogue. The jokes consist entirely of people talking in high energy over each other, presumably we're meant to laugh at how idiotically wrong Wilson and Vaughan are about everything. These are interspersed with embarrassing 'inspirational speeches', always accompanied by triumphant music and always stunning in their stupidity. Alongside Wilson and Vaughan star a sea of sad faces struggling to feign enthusiasm. Rose Byrne, one of the better actresses of the last fifteen years, is Wilson's love interest, inexplicably. B.J. Novak and John Goodman appear, both otherwise hugely talented writers and actors. And the final insult is that the cinematography in 'The Internship' is amazing. Some of the landscape shots are genuinely breathtaking in their beauty, furthering the sense of great talent being utterly squandered. 'The Internship' isn't a film, it's the suicide note American comedy has written to the world. At least 'The Hobbit: An Unexpected Journey' (★★½) has some tried and tested source material. The framing narrative joins the dots between this prequel and the 'Lord Of The Rings' trilogy, with Ian Holm reprising his role as Old Bilbo, writing the story of his early adventures for the benefit of Elijah Wood's Frodo. 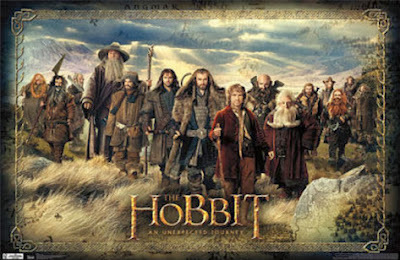 Extorted into helping a company of dwarves retake their homeland from the dragon Smaug, Young Bilbo, played by Martin Freeman, stumbles from one altercation to another, living off his wits and being frequently bailed out by the wizard Gandalf and his dwarf companions. The plot is as episodic as the novel's, but Peter Jackson does a great job of rendering a compact children's book into something grand and sweeping. It's as vivid in its imagery as the previous trilogy, and reuses many of the leitmotifs, which is fair enough. But there's a lot about the spirit of the novel that it keeps, and the 'Lord Of The Rings' trilogy’s saving grace was that it departed quite heavily from the books. The songs, for example. Everybody who reads the novel skips the frequent, absurd songs, because although they may have been a great love of Tolkein's, to any sensible person they're cringeworthy. Jackson's previous films cut them out, as with the risible and diminishing appearance of Tom Bombadil. 'The Hobbit' not only includes songs, but also adds unnecessary subplots. A little more aggression on the part of the editor would have improved the film, and it might possibly have taken this from a trilogy to a manageable duology. The other blockbuster out this week is 'Pacific Rim' (★½), Guillermo del Toro's attempt to bring the kaiju and mecha genres to a Western action-movie audience. And in succeeding, he's turned out a film that is boring and formulaic. Charlie Hunman pilots one of the giant robots that defend humanity from the Kaiju, extra-dimensional monsters that periodically invade Earth from beneath the sea. For a last-gasp mission to take the fight to the enemy and close the dimensional breach, he has to pull together with a team of alternately abrasive and dysfunctional cardboard cut-outs under the leadership of Idris Elba. Elements of Japanese pop-culture have been borrowed by American films forever, and the two main influences here, 'Evangelion' and the 'Godzilla' franchise, are well represented in the West generally. It's not a bad thing to borrow - and the film is honest in admitting its intertextuality - what matters is what you do with the material. And what del Toro does is give us a protagonist who's an 'out of retirement for one last fight', boy scout non-character, a leading lady with the usual tragic backstory, a gruff military boss, and half a dozen other off-the-peg cartoons. The two nerd stereotypes are particularly grating, if only because they're louder and more energetic than the rest of the cast. Not only are these characters not actually characters, but, like in 'The Internship', they use the lazy trick of having characters describe one anothers' traits. Del Toro then uses these caricatures to populate a three act structure so predictable you can call the appearance of the 'inspirational speech' to the exact minute. And then he fills it out with some affected and hammy dialogue. 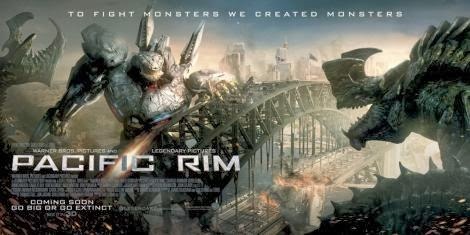 If we're scouring for reasons not to hate 'Pacific Rim', the best I can come up with is that the design is pretty neat. The computer interfaces are a mix of haptic interfaces and clunky, believable buttons, the kaiju themselves show interesting variety, the costumes are both plausible and stylish, and all the sets and props have a fantastic, worn look to them. It's a shame that the CGI doesn't render textures finely enough and makes all the large-scale designs look plastic and flimsy. I don't know what to tell you. These three films represent the work of eight different production companies, and every one of them failed us. 'The Hobbit' was a decent adaptation but was perhaps too lenient with itself, 'Pacific Rim' was a piece of brainless jingoism, and 'The Internship' was a slap in the face to anyone open-minded enough to watch it. If there is a Judgement Day, that film is definitely going to come up - that's going to be Exhibit A. We were all complicit, and we'll all be doomed. Read previous DVD Digests here, and find more from Maxamillian at @maxltj.